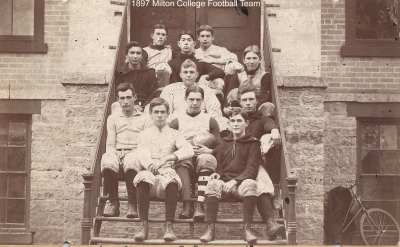 This photo of the Milton College Football Team, seated on the steps of Main Hall, was taken in the fall of 1897. No statistics are available prior to 1899. 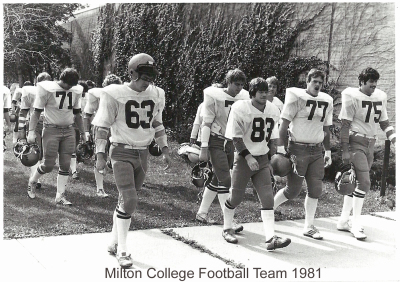 The 1981 Milton College Football Team. 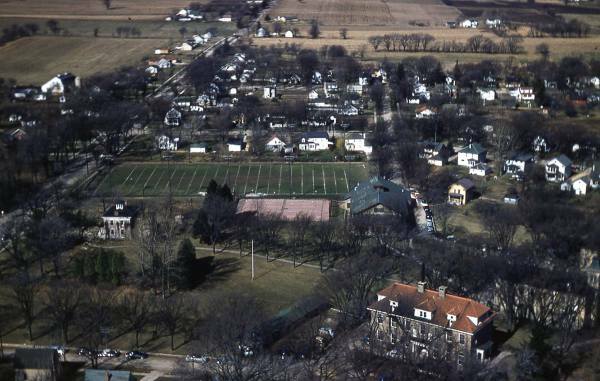 Milton College Football Field prior to 1967, when the Shaw Memorial Library was built. The College then shared the Milton High School football field.